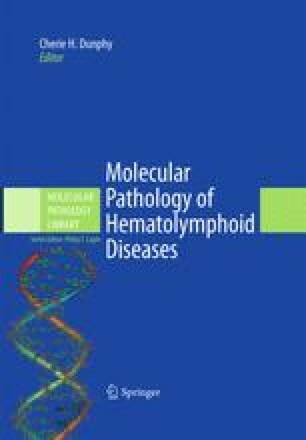 Precursor T-cell lymphoblastic leukemias and lymphomas represent 15% of childhood acute lymphoblastic leukemias (ALLs) and one third of pediatric non-Hodgkin lymphomas, respectively. T-cell ALLs are characterized by prominent (>30%) bone marrow (BM) infiltration with or without mediastinal mass, while T-cell lymphoblastic lymphomas show mediastinal masses in the context of limited or no BM involvement. These two clinical entities share a similar spectrum of molecular and cytogenetic abnormalities, and most probably represent different manifestations of the same disease, commonly designated here as T-ALL.